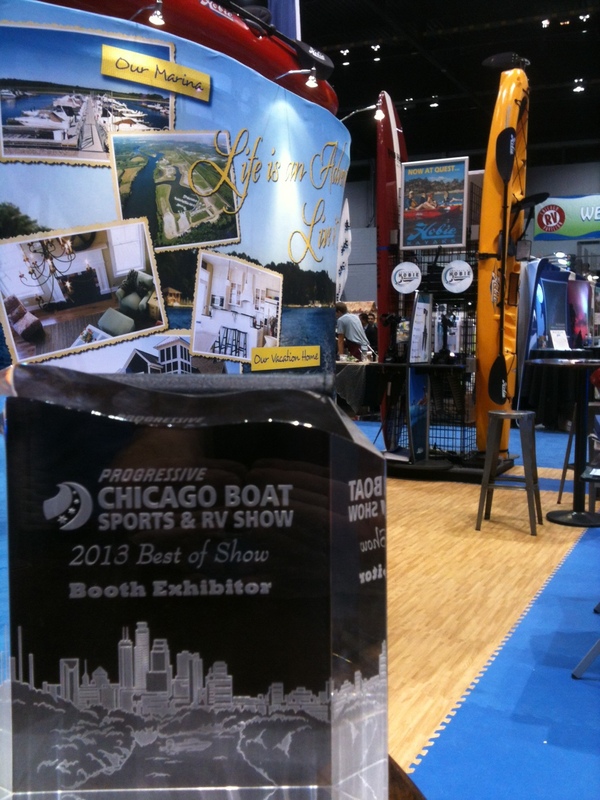 CHICAGO, IL - Quest Watersports and Heritage Harbor Ottawa brought home industry honors last weekend during this season’s Chicago Boat, Sports & RV Show, winning "Best Booth Exhibitor" for 2013. 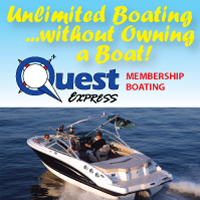 The wind chill outside McCormick Place may have been dipping below freezing, but thousands of boat enthusiasts inside were flocking to the warmth of the Quest & Heritage Harbor booth. The show judges granted the booth the coveted “Best Booth Exhibitor” award, choosing from more than 200 vendors in the category. Tammy Barry of Heritage Harbor Ottawa said the Quest/HHO team put their best foot forward at the boat show in an effort to showcase watersports, the resort and marina, and the Ottawa community as a whole. In the end, she said the many Chicagoans picturing themselves spending endless summer says of boating, waterskiing and relaxing in the Starved Rock Country sun won over the judges. The winning booth included two large TV’s with customized video, Hobie kayaks, a stand-up paddleboard, brochure rack, lounging chairs, pub tables and huge 11-foot-by-8-foot fabric panels highlighting the Adventure Lifestyle.